Strategy digital card game, Eternal, is coming to Xbox One soon with cross-play! Dire Wolf Digital today announced that its strategy card game, Eternal, is coming to Xbox One™ this month. 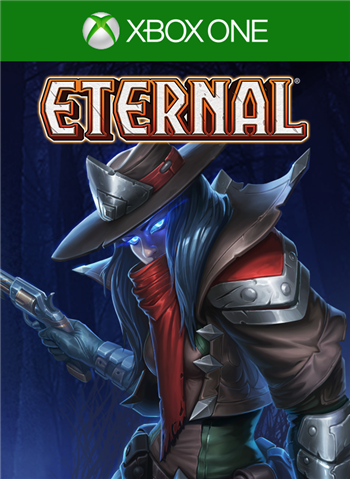 Currently available for iOS and Android phones and tablets, and on Steam, Eternal is a truly free-to-play, fully cross-platform strategy card game with deep tabletop roots. Set in a world of six-guns and sorcery, Eternal combines rich tactical depth with fast-paced action and polish, where players freely mix cards to build any deck imaginable. Eternal is the most generous free-to-play card game on the market, where every card can be acquired for free, and only non-gameplay cosmetic items like Avatars and Totems require cash to purchase. Eternal’s emerging eSports scene brings a new level of competition to the game, with monthly cross-platform cash tournaments, which will culminate in a $100,000 World Championship next spring. Eternal is a strategy card game with unlimited choices and infinite possibilities. Played cross-platform on Steam, iOS and Android phones and tablets, and now Xbox One, Eternal combines next-gen generosity with classic collectible card battles in a unique six-guns and sorcery universe.